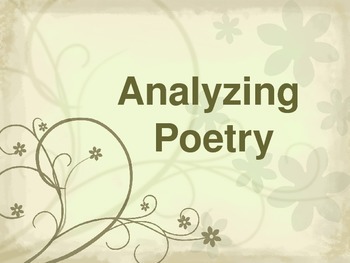 This is a power point that focuses on various elements of figurative language through poetry. 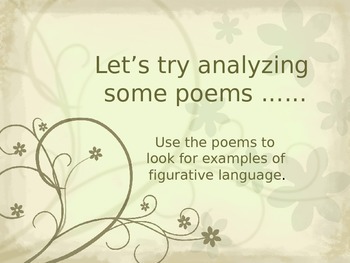 First, it reviews figurative language definitions and examples. Then, there are three examples for the teacher to use to model. 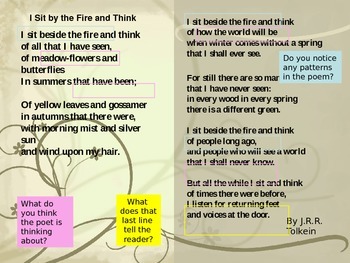 At the end, there are three poems for the students to use for independent practice. 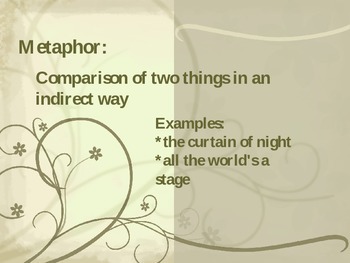 This is a great review after you have pre-taught literary devices.